Exhibition light boxes have been perfected over the last few years and they are understandably in demand. The combination of tension fabric and quality LED modules allows illuminated displays to be packed down into small portable units. They produce a quality light and have replaced the good old pop-up as the go-to product for time efficient marketing. However, their major downfall – is exactly that – they can be pushed over way too easily. Large supportive feet are not an option as they cause a trip hazard. To solve this problem we have designed a range of stabilisers which are hidden under our floor, along with the power cable. 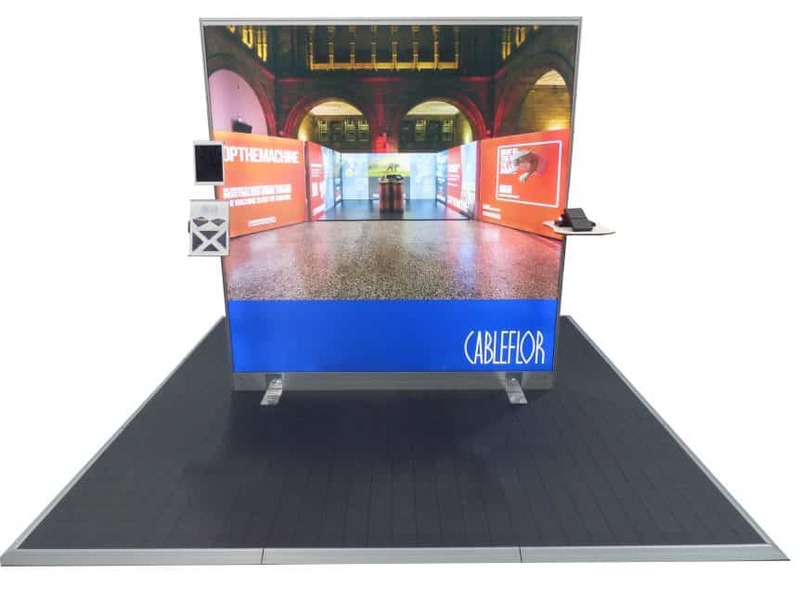 As a result, at Cableflor, we have the ideal solution to guarantee your stand will not be pushed over. 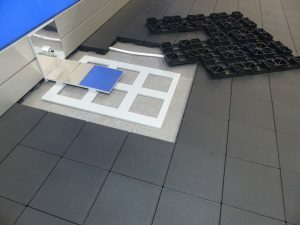 We designed our base plates to sit underneath our floor, eliminating trip hazards entirely, as well as freeing up usable space. They ensure that your walls or banner stands are completely stable by attaching directly to them. 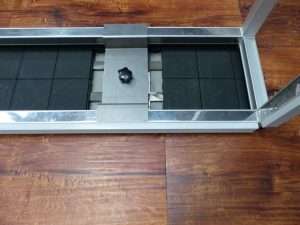 The base plates are laser cut from steel to the required size and they fit around the Cableflor feet. Fix to your banner stands with a simple wing nut, using the existing holes for your feet. 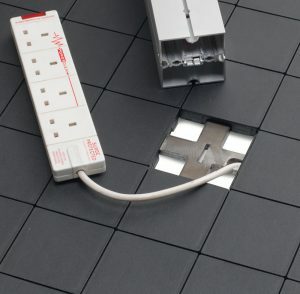 Alternatively, we can supply these bases to integrate with your chosen modular system. There are solutions for Octanorm, T3 and BeMatrix. All are ideal for end users and require no special skills or tools. Using Cableflor, it is possible to fix a foot onto the base of your wall without worrying about trip hazards. Additionally, you will hide the power cable. Design works much better using a monolith or freestanding wall, but most importantly it increases usable space. No feet sticking out or unnecessary wall returns to ensure it stands up. In fact, just adding up all that extra space on your stand, it will easily pay for your Cableflor. Above all, you will be able to put together some different stand designs to your competitor.